[by Joy Kim] K-pop solo artist Kim Hyung joong will release new digital single ‘The reason I am living’ for Korean fans on 6th of June. This is second digital single in Korea after his ‘Marry Me’ at 2011. According to his official agency the singer decided to release new single as an special event for his fans in Korea. So he decided to release a new song on his birthday. The song will be released on 6th of June at 12:00 PM (KST). The song ‘The reason I am living’ is a ballad song with sweet melody. 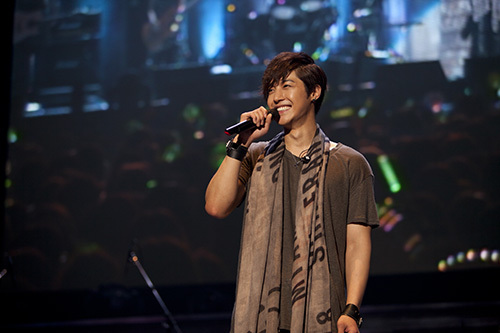 The song represents Kim Hyun joong’s thoughts that he lives from his fans unchanging support and love and he thanks them. Moreover, he will release his third Japanese single album TONIGHT on 5th of June. Since his previous album and songs including ‘HEAT’ and ‘Unlimited’ gained good response from the public, the expectations are high.